4 escape games to play at home. A dinner party, a birthday party, a weekend getaway.... In this book you will find five portable escape experiences to have a great time. You decide where, when and with whom. Highlights Escape Room. Do it Yourself. Ivan Tapia’s Escape Book has sold over 33,000 copies. 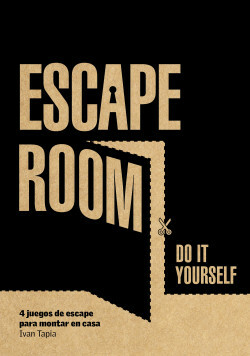 Five experiences of escape rooms that can be set up wherever and whenever you want.